Harkening back to Hawaii’s golden era, the Big Island’s Four Seasons Resort Hualalai invites its guests to come and enjoy the best of the island, and to avail themselves of any of the hotel’s 243 expansive guest rooms, suites and villas, all housed within intimate two-story bungalows that beckon one back to nostalgic memories of a bygone age. 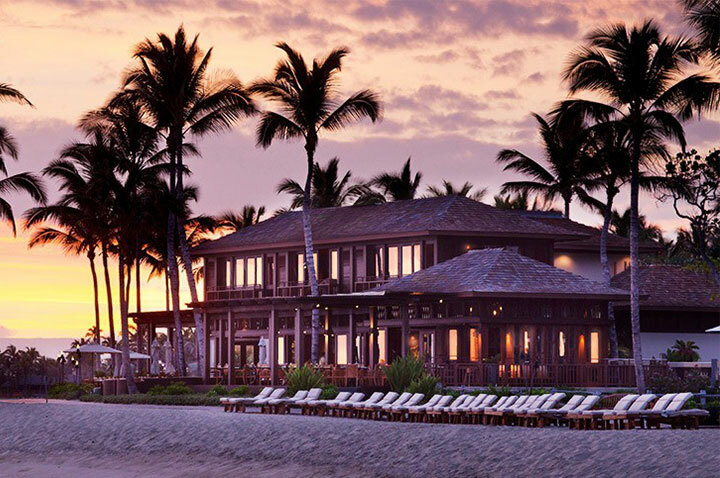 These indoor-outdoor inspired oceanfront or ocean view accommodations offer the ultimate in Hawaiian luxury, ensuring the ideal oasis for one’s leisurely vacation escape. Also impressive is the extensive collection of native Hawaiian art that is featured here, helping to set Four Seasons Resort Hualalai apart as the cultured and classic retreat it’s world renowned as being.